Working out of the Myrtle Street Consulting rooms Sleep Right Australia has been offering its service here for the past two years. If it’s a Sleep Test, trial of CPAP or a review of equipment be sure to book in to see the experts in Sleep Apnoea. All bookings are by appointment. 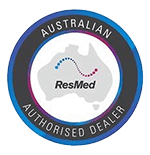 Ensure your therapy is being looked after by the experts in Sleep Apnoea.We specialise in ResMed CPAP gear, ensure your treatment is tailored to your needs.